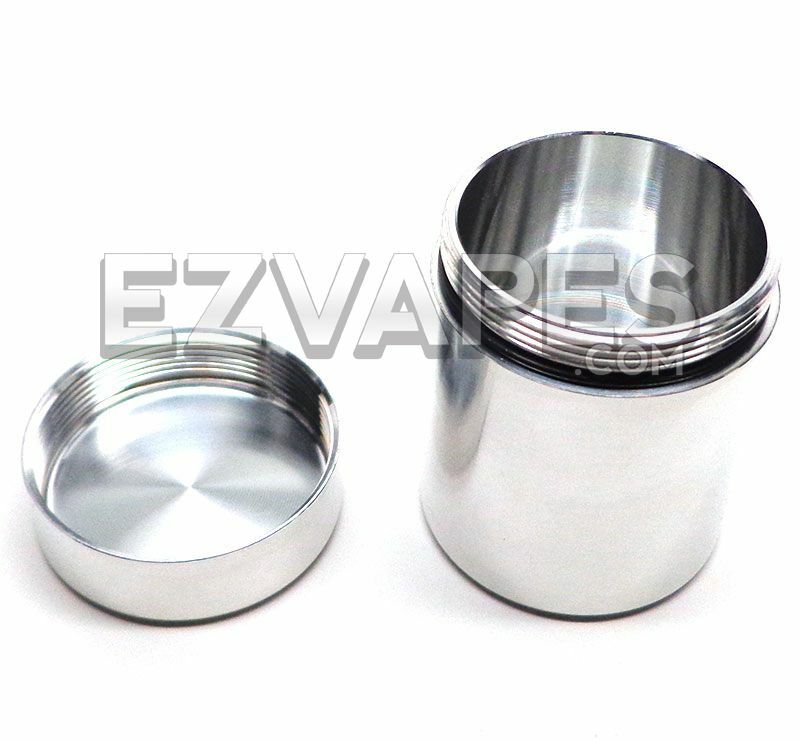 Keep your material safe and fresh in this air-tight aluminum storage container from Space Case. 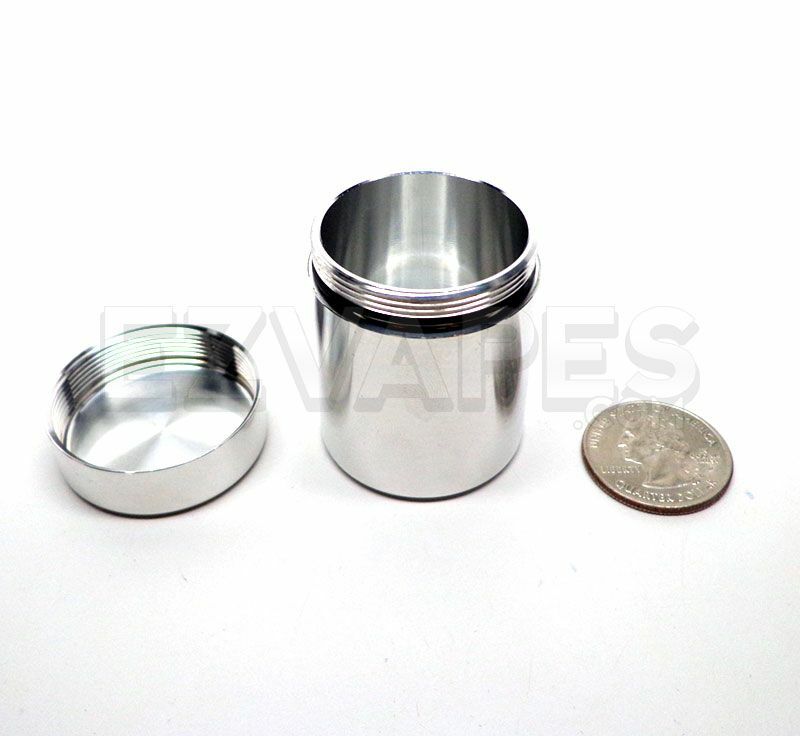 CNC machined from aircraft grade aluminum, the Space Case storage container is about 1.25 inches wide by 1.75 inches tall and is strong enough to be thrown in your pocket or bag to safely go along for the ride. 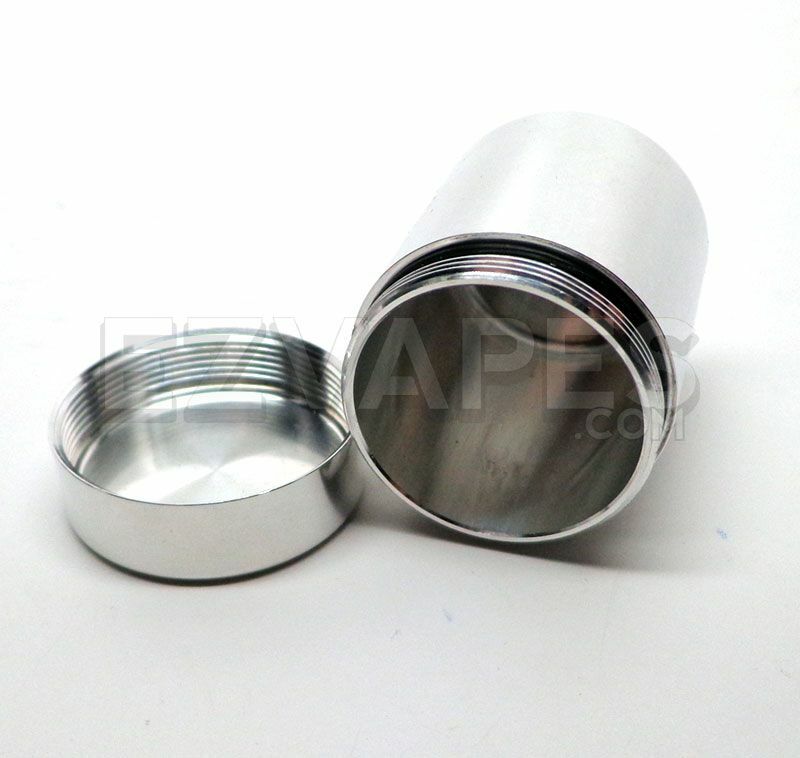 The Space Case storage container features a rubber seal around its rim to create an air-tight environment for your material and preserve its freshness. 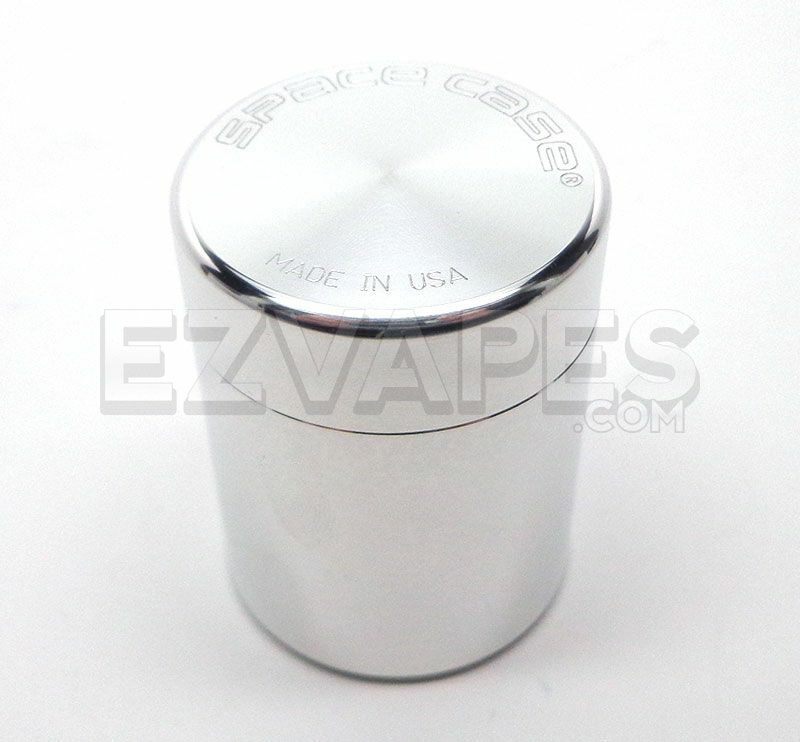 Like all of Space Case's products, this durable storage container is made in the USA which is marked proudly on the lid along with the official Space Case logo.